Welcome to the SURFER competition at the Bar-Ilan University in Israel. 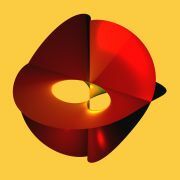 In collaboration with the Mathematisches Forschungsinstitut Oberwolfach we collect images of algebraic surfaces generated with the program SURFER. 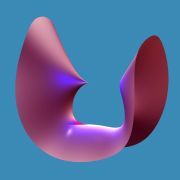 Algebraic surfaces are produced by simple equations in three spatial coordinates x,y,z. All points which satisfy these equations are drawn. For example, the equation x2 + y2 + z2 = 1 results in a sphere. The competition requires creativity, intuition, and mathematical skill in order to create equations yourself or to change given equations to produce beautiful images. The images are easily generated with SURFER. You will find the program and a guidance manual on the SURFER-Installation-Site. 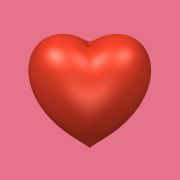 To submit an image to the competition, first save the image with the “Save” icon (disk) in SURFER bottom right (as .png image format) and then upload it to the competition gallery . Everybody is invited to take part! You can submit surfaces that you created yourself or in a group. Why not enter with your family or mathematics class. All entries are welcome! The competition will run from December 24th 2015 until October 24th 2016. The judging panel will be announced shortly! The best three surfaces will be awarded with a prize. Additionally, all three winners will receive a high quality print of their winning surface. The judges decision will be final and we will not be able to enter into correspondence. Expert tips on how to use SURFER can be found under: Tips to create algebraic surfaces by Prof. Greuel (pdf).